It's nice to sit down after a day of holiday shopping and unwind with a bit of reading. It's even better if you're reading a bit of holiday romance. Of course, most of the time we don't have days and days to devote to a good romance with all that's going on. That's why a collection like this is just what most women need during the holiday season. If you're a fast reader, you'll easily be able to finish one of these novellas while relaxing before bed. 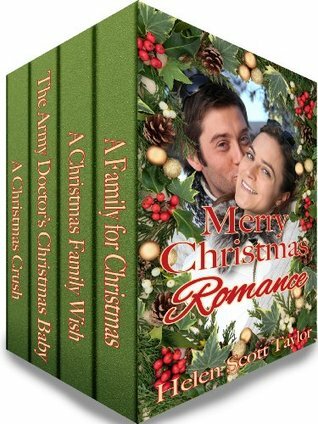 Merry Christmas Romance is filled with delightful, heartwarming tales that will make you forget all your holiday troubles. Personally, I loved the story A Christmas Crush, but you may find that you like one of the other stories better. Either way, there's something for everyone in this collection.